Any zoo employee who was worried the bears might not take to their new digs or please the crowd needed only to go to this week's invitation-only preview. To the delight of the crowd, Sadie and Haines tried to snare one of the live fish swimming in their new backyard pond, and got so close. Zoo director Lee Ehmke said Grizzly Coast, which was almost entirely state funded, is the next generation in zoo design. "Giving the animals great natural spaces where they can do what they'd do in nature -- looking for food, swimming, climbing -- all the behaviors we want them to engage in," Ehmke said. "But in ways that visitors are really going to get up and experience it firsthand at a close range." Ehmke, a self-proclaimed zoo nerd, has led the zoo for eight years. He's almost apologetic for some of the zoo's older exhibits which date back to the 1970s, when concrete was king -- but only when surrounded by more concrete. Back then, zoos were also getting animals out of small cages and into huge outdoor displays that offered plenty of hiding spots, to the chagrin of visitors. With Grizzly Coast, visitors enter a windy path meant to resemble the cliffs of Russia's wild, wild east, and first come to the pool that houses four sea otters. Zoologist Melanie Oerter notes the extra seating here so people can spend a lot of time watching the critters, which keep zookeepers very busy. 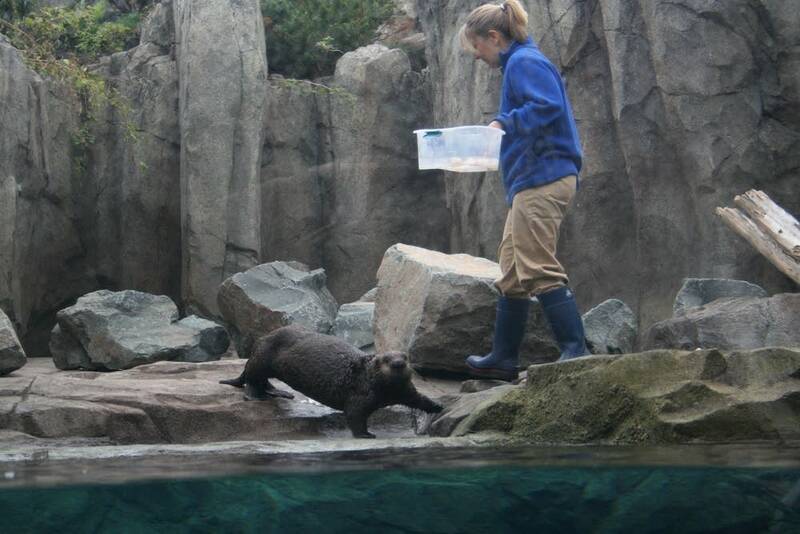 "If we don't give the otters something to do, they'll find their own thing to do," she said while standing in the otter exhibit. "And sometimes that means taking apart their exhibit, like unscrewing bolts or getting into things they'd normally not get into. They're very mischievous!" Ehmke said the otter pen also showcases one way Grizzly Coast is different. Visitors don't have to wait to get to the bear area to see bears. 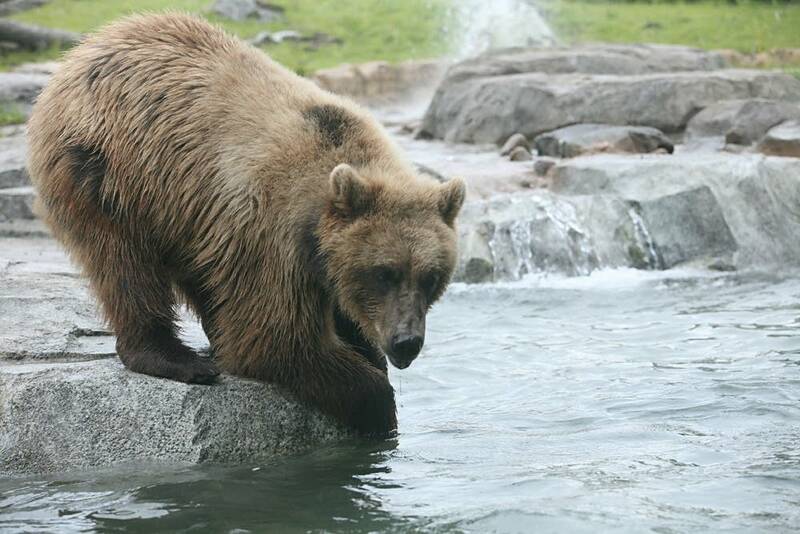 Ehmke points to a rock that is actually part of the grizzly bear exhibit, separated by a hidden ditch. "So some days you might see a big grizzly bear up there, peering down at the visitors and sea otters," Ehmke said. Ehmke said the zoo also went to great lengths to make the walk between animal pens an experience. Visitors pass steam vents, a boiling mudspot, and washed-ashore whale bones, things they'd see if they really were in Russia. 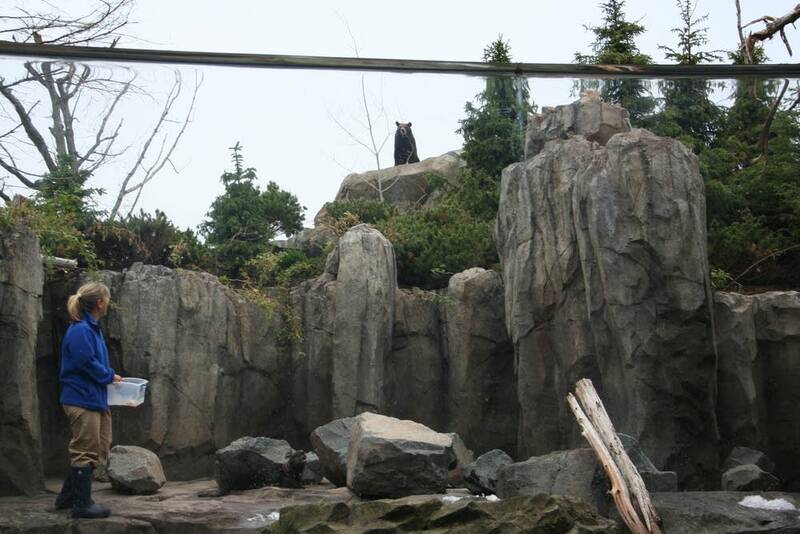 A walk through a replica lava tube gets you to the main area to see the bears -- Sadie, Haines and Kenai. 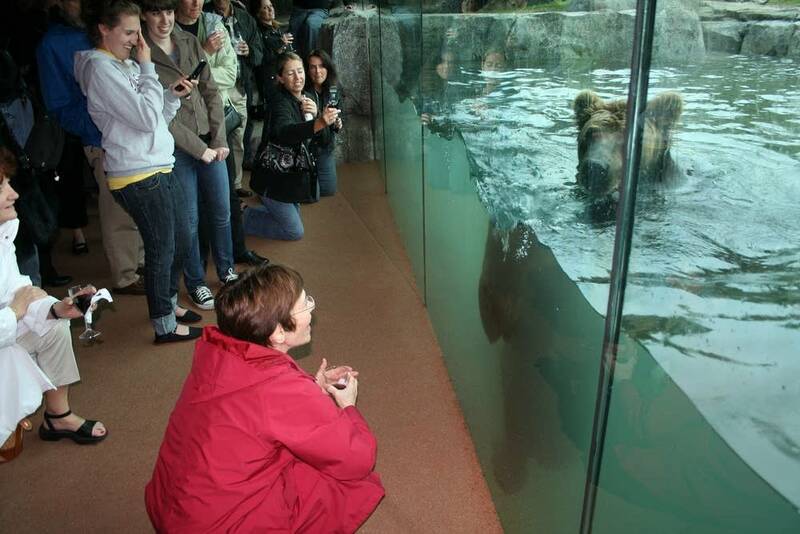 Diane Weinhardt took care of the bears when they were cubs in Alaska, and now works with them at the Minnesota Zoo. She said Sadie, the smallest and only female, has always bossed the other two around. Sadie even had a short stint as a fashion critic when she was little. "She decided she didn't like my brown hiking boots. So every time I'd go in with her, she'd slap my boots," said Weinhardt. "I don't know if they smelled differently or whatever, but she just did not like them. And about the third or fourth day of her slapping my boots, she decided she was going to bite me so I'd get rid of them. So she grabbed hold of my leg and put a really nice, size-of-your-fist bruise in my leg." Sadie's bites would cause a lot more damage now, which is why director Lee Ehmke said the zoo has a strict policy of limiting how close even the trainers can get to the animals. And for those who wince at the sight of animals locked up in a zoo, Ehmke said these three bears were all orphaned before the age of one. "The option of coming into a zoo was probably their best option. They weren't even weaned," said Ehmke. "One was found wandering around a garbage dump. They were not even close to being able to survive on their own." 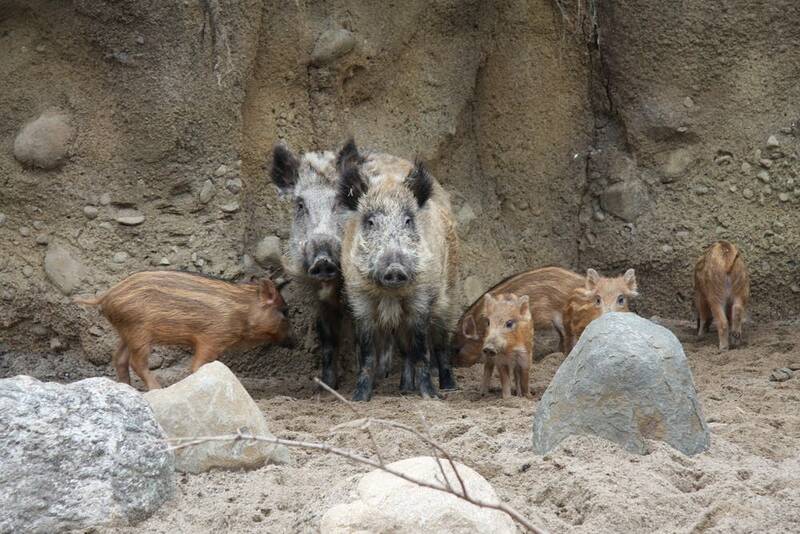 The walk through the Grizzly Coast concludes with 10 wild boars, eight of them piglets, and two Amur leopards. Amurs are the most endangered big cat in the world, with fewer than 40 left in the wild, which is why the zoo also has plans to try breeding in a few years. 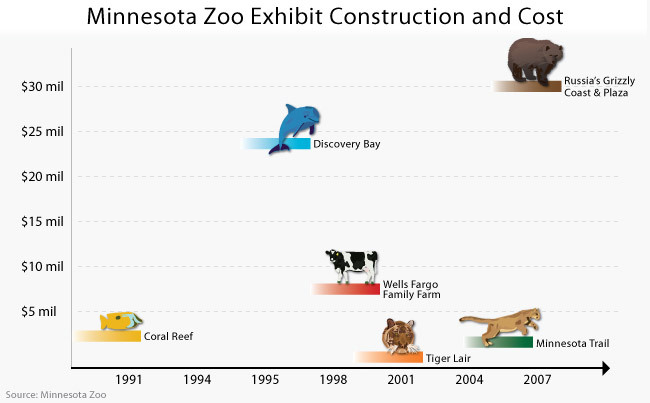 Ehmke also said this grouping is ideal for this zoo because Minnesota has a very similar climate. Hot summers and bone-chilling winters are normal for all the animals there, on both sides of the displays.